As a home ages, components may start to fail or simply begin to look out-of-date. When it’s small components that are affected– say a light fixture or cabinet handles – it’s easy for a homeowner to ignore them and get new ones as their budget allows. But there are some elements that need to be fixed as soon as they start breaking down. As your siding gets older, it can develop holes or cracks that can begin to compromise your home’s structure and your quality of life. If your siding has reached the end of its lifespan, then it’s time to invest in an update. 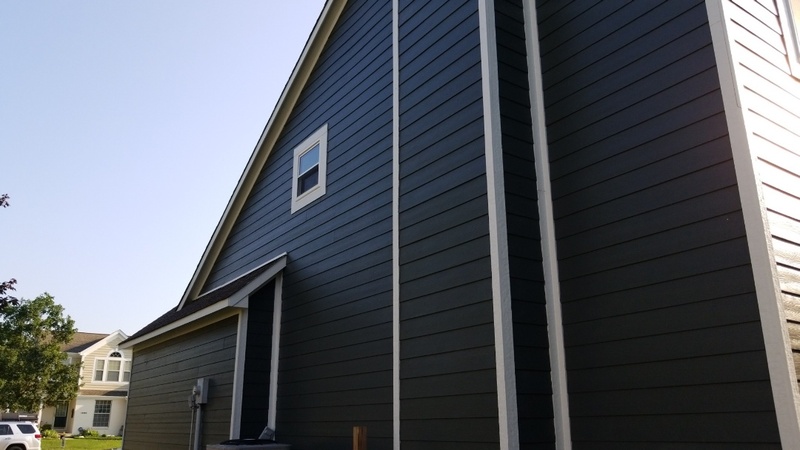 UHQ Construction provides professional siding installation services to home and business owners throughout Fishers, IN, and the surrounding areas. Should You Invest in New Siding? When it comes to house remodeling projects, homeowners often don’t consider siding to be the first project on the list. Yet updating your siding can be a very worthwhile project. It has consistently proven a high return on investment, often over 80%. Siding also can improve the overall indoor comfort of your home by increasing energy efficiency. The less energy that escapes from your home, the less you have to rely on your HVAC unit to keep your home temperature stable throughout the seasons. Plus, removing old siding allows contractors to repair structural damage that has been caused by leaks. If you’re interested in learning whether you should invest in siding replacement, then contact the professionals at UHQ Construction. Since 2014, we have been assisting commercial and residential property owners in Fishers with a wide variety of improvements. Contact us today to schedule an appointment by calling (317) 884-3140, or you can fill out our online form.